Today, our partner site TripAdvisor announced the results of its 2018 “Hospitalist Sector Report,” and we can’t say we’re surprised by their findings. TripAdvisor’s report revealed that online reputation management, mobile experience, and driving direct bookings are now critical areas of focus travel businesses like hotels and, you guessed it, restaurants. The owners and operators’ concerns are justified. 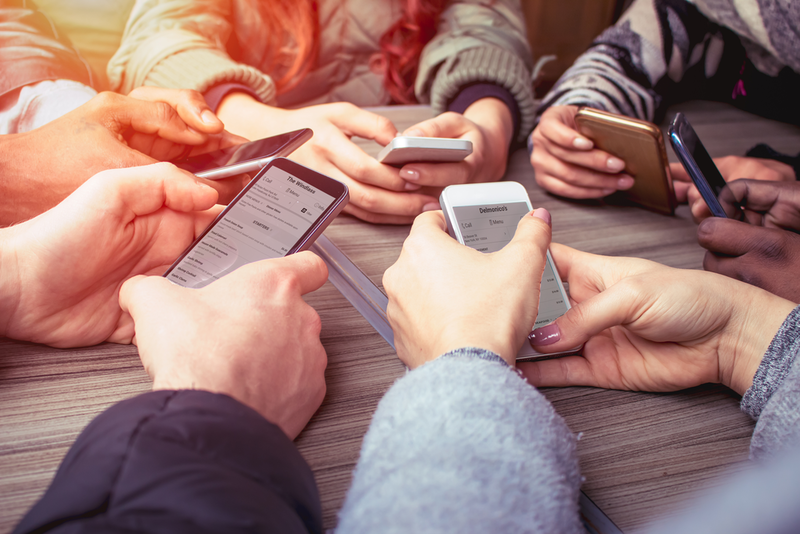 After all, 93% of diners regularly check online menus before selecting a restaurant, and nearly 60% of customers’ searches are now performed on mobile devices. Clearly, business owners like you recognize the growing importance of a solid online presence. But, maybe you just don’t know where to begin. Read on to learn how you can manage your business’ online efforts. If you want new customers to find your restaurant online, you need to make sure that all of your owner-verified information (like your most up-to-date menu, address, phone number, and hours) can be easily found online. And that information should be just as easy to obtain on a smartphone as on a computer. That means that you should make sure your restaurant’s website is optimized for mobile viewing (87% of owners and operators surveyed by TripAdvisor said that having a mobile-enabled website or app is important). Your online menu should also be mobile-optimized for easy reading. A lot of people are looking for places to eat on the go, so you don’t want to frustrate them by having an unreadable or unavailable menu. Managing your online reputation on those crucial search sites is important. That’s why 97% of those surveyed by TripAdvisor said that online reputation management is important to their business and 98% said online reviews are important to their business. Those numbers are so high for a reason. 88% of consumers report reading online reviews and say that positive reviews influence their buying decisions and 85% of consumers report reading up to 10 reviews before feeling like they could trust a business. Instead of passively letting the reviews roll in, you should do your best to respond to reviews—especially the negative ones. A thoughtful response and apology can help moderate the effect of a negative review and may even help you win back the dissatisfied customer who left the review. This is not only a courtesy but a smart marketing strategy. Social media management is crucial for restaurants. Potential and repeat customers are looking for places to eat and drink and engaging with social sites to find the next best thing. Enticing photos and an interactive presence can help you attract more diners. Restaurants and other small businesses should have a firm grip on their social presence because these platforms provide business owners the opportunity to engage with their customers, post photos, and communicate timely information. In addition to online reputation management and social presence, 71% of respondents also said they prioritize driving direct bookings. One of the best ways you can drive direct bookings for your restaurant is to make it as easy as possible for customers to make reservations online. If you don’t already offer online reservations, consider partnering with a third party site like OpenTable. On OpenTable, users can search for the platform’s over 45,000 partner restaurants to check availability. If there’s a table open at the customer’s desired time, the customer can make a reservation with just a few clicks. No phone call needed. Users can also search by cuisine, location, and even ambiance, which means that diners who hadn’t heard of your restaurant before visiting OpenTable could be making reservations too. That was probably a lot to take in. The good news is that SinglePlatform can help you manage everything we’ve talked about, from your menu and website to your online reviews and social media postings. To learn more about SinglePlatform, get in touch with us today!